Chris Simpson has been named as the Guernsey Sports Commission's Most Outstanding Performer of 2015. 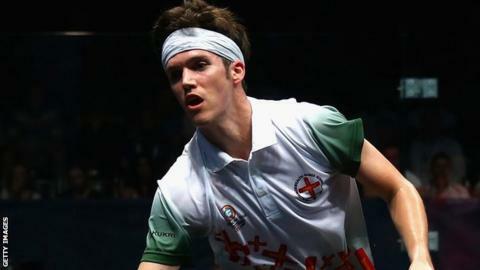 Squash's world number 24 won the biggest tournament of his career in October when he took the title at the St George's Hill Open. He also beat four-time world champion Amr Shabana and was picked for the England team at the postponed World Team Championship in Egypt. The 28-year-old succeeds swimmer Miles Munro as the island's top sportsperson. Guernsey's cricket team took the Team of the Year title after winning promotion from World Cricket League Division Six, while all-rounder Matthew Stokes won the Sir John Loveridge Trophy for most improved sports person of the year.